“Ultimately, we have just one moral duty: to reclaim large areas of peace in ourselves, more and more peace, and to reflect it toward others. And the more peace there is in us, the more peace there will also be in our troubled world.” Sounds simple, but Etty Hillesum practiced this peacemaking in the worst context in memorable history, the Holocaust of World War II. She put her deeply-rooted spirituality and peacemaking against the Nazi hatred, bigotry, and killing machines. Our contexts are nowhere near as daunting, so she can be a bright light of encouragement and guidance along our way to bring peace to the world. 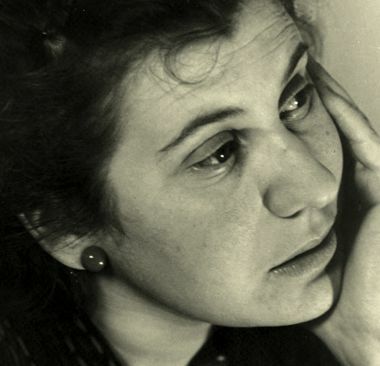 Etty Hillesum was a young Jewish woman from Amsterdam who was swept up by the Nazi occupation and Holocaust. She died in Auschwitz on November 30, 1943, at the age of twenty-nine, but she is known for the vitality of her witness for life and love amid the horrors of hatred and destruction. For the last two years of her life, she kept a diary that was discovered and published forty years after her death. Now, the lives of people from many faiths have been shaped by Hillesum’s deep spirituality. In her diary, she expressed her mystical relationship with God that enabled her to live fully and with moral clarity in the face of great suffering. She believed the effort to preserve in one’s heart the spirit of love and forgiveness was the greatest task one could take up. She did not glorify suffering as such, but she desired to redeem the experiences of suffering by binding God deep within. Even in the concentration camps with death ever present she envisioned the way she lived her life as a way to prepare for a new age whether or not she would survive to see it. She did not participate in organized religion, but she held strongly to a personal encounter with God that could be discovered both at the depths of one’s own being and in other people as well.